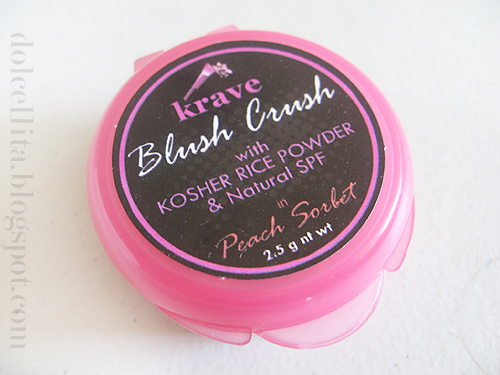 Yesterday I received my first purchase from Krave Minerale, their Blush Crush with Kosher Rice Powder & Natural SPF. It arrived just a few days after I text in my order details and sent the payment, so props for a speedy delivery from their distributor! Like all of Krave's other locally made products, it's "100% vegan and gluten free, hypoallergenic, non-comedogenic (won't clog pores), non-acnegenic (won't cause acne break outs), and nano particle free. 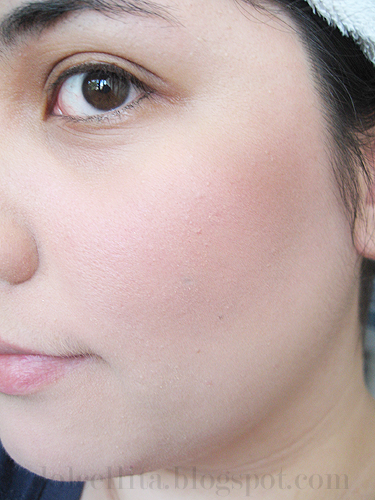 (link)"
Dolled up with a few brush strokes and achieve an effortlessly glowing pinkish cheeks that doesn't need a time to time touch ups. 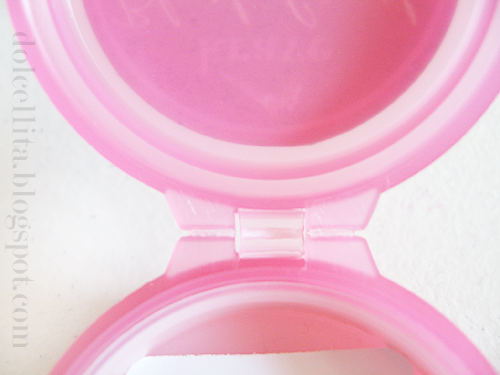 Quite typically, because it's a loose powder product, the inside is covered with tape to make sure the contents don't spill out before you get to use it. I've read some reviews with people complaining about the 'cheap packaging', but personally I don't mind it. As long as the product works for me, I can forgive everything else. My only peeve is the hinge for opening the product. I typically dislike these very thin, plastic hinges since after some time, they eventually break or tear apart. Unfortunately I also had difficulty removing the actual sticker. It doesn't peel off easily and took me a good five minutes to get it off completely. 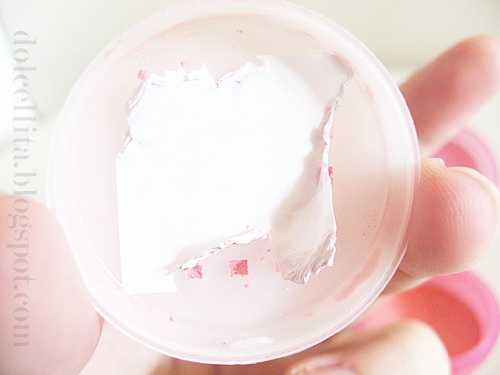 There was also some minor spillage at first because the powder itself was escaping from the holes in the inner lid it was clinging onto, so I eventually had to remove the inner lid entirely in order to continue removing the sticker. Kosher rice powder is the refined starch from rice, known as Oryza Sativa. It soothes inflamed acne and skin ulcerations. An anti-aging skin formula that protects from the harmful rays of the sun, and leaves skin more radiant. It's emollient and exfoliate properties keep skin cells healthy, while its ceramide increases collagen production to make skin more supple and free of wrinkles. 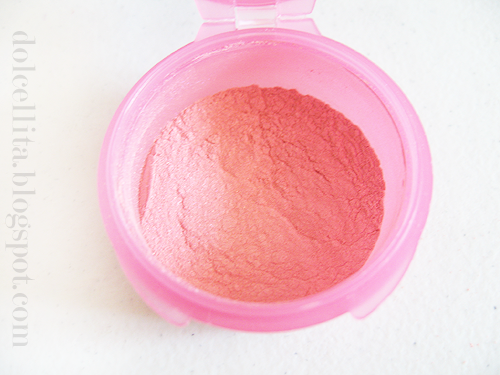 The shade I got was Peach Sorbet which is described as a"true peach tone with a touch of pinkish glow." 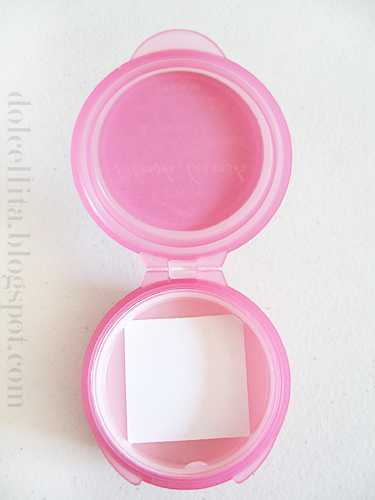 I'm not a fan of very pink blushes, so I always opt for more natural looking shades that have a reddish-pink or peachy-pink tinge. Excuse my slightly unkept brows! 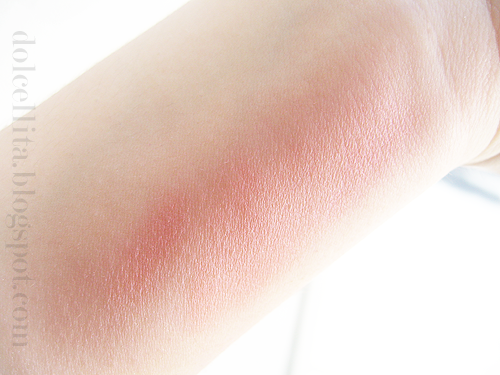 Applied with a very light hand, as all blushes should be applied, it turns out I picked just the right shade as it gives me that more natural looking flush I had been hoping for! What do you think? LOL I had the same problem with the sticker. I believe they're reformulating their packaging, so let's hope that issue would be solved. :) I'm using their finishing veil, and i love it! 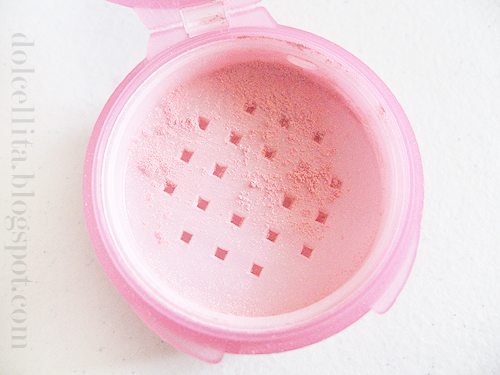 I'd definitely check this blush out after hitting pan on at least one of my current blushes. Haha! Happy new year!